Woody Allen once said, “If you want to make God laugh, tell him about your plans.” That certainly was my experience. Thinking I was destined for greatness in Hollywood I found my life purpose instead in caring for a colony of wild cats. My life as a down-on-my-luck aspiring screenwriter in Hollywood seemed uncomfortably close to that of Joe Gillis, the failed screenwriter in the classic film Sunset Boulevard. I ended up homeless as did he, but instead of escaping into the arms of faded movie star Norma Desmond, I was welcomed by an old love and her sister who lived ten miles from downtown Los Angeles. In the security of their small bungalow I could finally catch my breath, and spent my precious time (unsure of when I might get kicked out!) pecking away on my laptop, trying to manufacture the visions and dreams and high-concept twenty-word pitches I prayed would interest mercurial studio executives, mercenary independent producers, and beautiful, narcissistic rising stars. Though the setting stimulating creativity, I became distracted by the horrific sounds of predators decimating kittens from a large colony of feral cats that made their home out back. Our backyard was a mini-jungle, burgeoned from what perhaps began as a lush backyard into a micro Amazon forest, replete with nonindigenous fronds, old-growth trees and thick veils of ivy oozing white sap. Normal neighborhood sounds dissolved here, replaced with chirps, caws, screeches, and the constant rustling of critters that called it home, including the feral colony. Had monkeys one day appeared and begun swinging from branch to branch, or the occasional rhino passed by, I would have taken it in stride. These cats were not strays—abandoned domesticated cats; these were wild animals—untamed and, for the most part, untamable. They displayed a myriad of colors, shapes, and sizes. They were stealthy and skittish, shadows at night, ghostlike flashes in the trees, peering under the high wooden fence that separated our yards. Occasionally I would spot a startled eye, a black nose, a wispy tail through the broken slats in the fence. The felines were as wary of human contact as any wild animal. Though most looked like domesticated house cats, they were unequivocally feral. I came to learn that their predators, coyotes and raccoons, lived in the latticework of dried arroyos that ran down out of the San Gabriel Mountains. And they knew where to come for fresh meat. Newborn litters and young kittens were particularly vulnerable. Their numbers would grow and then diminish. We reasoned — albeit uneasily — that this was nature at work and none of our business. The cats had been there before the sisters moved in and would probably outlast them. However, one day the colony sat in semi-circle around a dead kitten, holding my gaze, seemingly asking for my help. Feral cats do not approach humans, and they do not make eye contact. So I knew this was an important moment. It had all the familiar earmarks of the universe stepping in to supplant my personal plans. And I do believe in intervention when called. So began the tumultuous saga of my relationship with this group of skittish, wild, and sometimes fierce felines. I began to name, nurse, feed, house, rescue, and neuter them. Sleep was a rare commodity; I rose from my bed countless times to fend off their attackers. I maxed out credit cards on vet bills, and emergency-room visits for myself when mauled by the very cats I was trying to help. 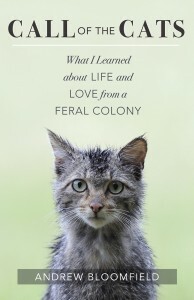 I made mistakes along the way certainly, and I’m sure feral cat caregivers will cringe when they read about certain choices and decisions I made in trying to keep the colony safe. But sometimes that’s how one learns. But trusting one’s intuition, jumping in and doing. I had found my purpose. And it looked strangely different from how I imagined it might when I was younger —or for that matter even a week before moving into the house! While obviously not many will be called to care for feral cats, I do believe one key in discerning one’s true purpose is by simply doing the thing right in front of one’s face. The thing closest at hand. Our civilization is skewed toward unease. An unease born of not looking like, having, or accomplishing whatever an advertiser deems indispensable at the time—or what the idol-of-the-day embodies. Thus many strive to look like, or be like, or have the things we’re told will bring us satisfaction. But what is lost in that search is authenticity. 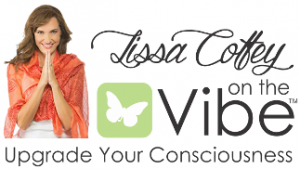 Authenticity is being true to oneself—being comfortable in our bodies and content with our skill sets. I’ve met parking garage attendants who take great pride in their work and are more fulfilled in their lives as a result, than some Fortune 50 CEOs. By committing oneself to the task at hand one finds freedom. Even is that task may seem mundane or trivial. This is exemplified by a group of spiritual aspirants from ancient India called the 84 Mahasiddhas who lived over a thousand years ago. They became accomplished masters in a single lifetime, and attained high levels of mastery through their vocational pursuits. That was the medium through which they became perfected. And surprisingly many of them worked at very mundane jobs. Some were beggars, gamblers, prostitutes, rice thrashers, washer men, cow herders and even thieves. The deeper meaning of their life stories still has relevance today: that one’s job or calling in life contains the potentiality for perfect contentment and satisfaction. No matter what the outer appearance. Andrew Bloomfield is the author of Call of the Cats: What I Learned about Life and Love from a Feral Colony. After running his own bookstore in Seattle, Washington, where he hosted spiritual teachers from all over the world, he caught the film bug and moved to Hollywood. It was there he found his true calling — caring for a colony of feral cats. He lives in Southern California.